AMES, Iowa - November 7, 2018 -- Workiva Inc. (NYSE: WK), a leader in data collaboration, reporting and compliance solutions, today announced financial results for its third quarter ended September 30, 2018. “We posted strong results in the third quarter of 2018, highlighted by an 18.7% increase in subscription and support revenue,” said Marty Vanderploeg, President and Chief Executive Officer of Workiva. “Operating margin improved significantly in the quarter, and we outperformed our guidance for revenue, operating loss and loss per share." 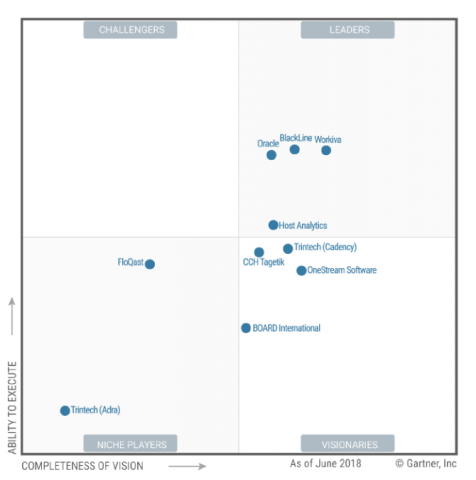 “With our continual release of new Wdesk capabilities, international market expansion, new use cases and a growing partner ecosystem, we are optimistic about the role we will continue to play in automating and modernizing a wide range of finance, accounting, risk, compliance and management reporting processes,” said Vanderploeg. "Companies spend millions of dollars on ERP systems but still rely heavily on manual processes to analyze and report performance data. The limitations of these manual processes are driving the need for financial transformation in the office of the CFO,” said Vanderploeg. "The next generation of Wdesk is designed to enable financial transformation by providing end-to-end data assurance throughout the entire reporting process." Revenue: Total revenue for the third quarter of 2018 reached $60.9 million, an increase of 16.9% from $52.1 million in the third quarter of 2017. Subscription and support revenue contributed $51.3 million, up 18.7% versus the third quarter of 2017. Professional services revenue was $9.6 million, an increase of 8.1% compared to the same quarter in the prior year. Gross Profit: GAAP gross profit for the third quarter of 2018 was $45.2 million compared with $36.4 million in the same quarter of 2017. GAAP gross margin was 74.2% versus 69.9% in the third quarter of 2017. Non-GAAP gross profit for the third quarter of 2018 was $45.5 million, an increase of 23.9% compared with the prior year's third quarter, and non-GAAP gross margin was 74.8% compared to 70.6% in the third quarter of 2017. Loss from Operations: GAAP loss from operations for the third quarter of 2018 was $10.7 million compared with a loss of $13.8 million in the prior year's third quarter. Non-GAAP loss from operations was $3.8 million, compared with non-GAAP loss from operations of $9.1 million in the third quarter of 2017. Adoption of ASC 606 caused loss from operations to be $1.3 million less for the third quarter of 2018 than what would have been recognized under the legacy standard. Net Loss: GAAP net loss for the third quarter of 2018 was $11.0 million compared with a net loss of $14.1 million for the prior year's third quarter. GAAP net loss per basic and diluted share was $0.25 compared with a net loss per basic and diluted share of $0.34 in the third quarter of 2017. Non-GAAP net loss for the third quarter of 2018 was $4.0 million compared with a net loss of $9.4 million in the prior year's third quarter. Non-GAAP net loss per basic and diluted share was $0.09 compared with a net loss per basic and diluted share of $0.23 in the third quarter of 2017. Customers: Workiva had 3,289 customers as of September 30, 2018, a net increase of 298 customers from September 30, 2017. Revenue Retention Rate: As of September 30, 2018, Workiva's revenue retention rate (excluding add-on revenue) was 95.9%, and the revenue retention rate including add-on revenue was 104.7%. Add-on revenue includes changes for existing customers in new solutions, new seats and pricing. Revenue retention rates are calculated using the legacy accounting standard ASC 605. Revenue retention rates will be calculated using ASC 606 when comparable data becomes available. Large Contracts: As of September 30, 2018, Workiva had 398 customers with an annual contract value (ACV) of more than $100,000, up 31.8% from 302 customers at September 30, 2017. Workiva had 173 customers with an ACV of more than $150,000, up 32.1% from 131 customers in the third quarter of last year. Total revenue is expected to be in the range of $62.4 million to $62.8 million. GAAP loss from operations is expected to be in the range of $11.5 million to $11.9 million. Non-GAAP loss from operations is expected to be in the range of $4.3 million to $4.7 million. GAAP net loss per basic and diluted share is expected to be in the range of $0.26 to $0.27. Non-GAAP net loss per basic and diluted share is expected to be in the range of $0.10 to $0.11. Net loss per basic and diluted share is based on 44.6 million weighted-average shares outstanding. Total revenue is expected to be in the range of $242.3 million to $242.7 million. GAAP loss from operations is expected to be in the range of $53.5 million to $53.9 million. Non-GAAP loss from operations is expected to be in the range of $17.1 million to $17.5 million. GAAP net loss per basic and diluted share is expected to be in the range of $1.24 to $1.25. Non-GAAP net loss per basic and diluted share is expected to be in the range of $0.40 to $0.41. Net loss per basic and diluted share is based on 43.7 million weighted-average shares outstanding. Workiva will host a conference call today at 5:00 p.m. ET to review the Company’s financial results for the third quarter 2018, in addition to discussing the Company’s outlook for the fourth quarter and full year 2018. To access this call, dial 866-393-4306 (domestic) or 734-385-2616 (international). The conference ID is 4170638. A live webcast of the conference call will be accessible in the “Investor Relations” section of Workiva’s website at www.workiva.com. A replay of this conference call can also be accessed through November 14, 2018 at 855-859-2056 (domestic) or 404-537-3406 (international). The replay pass code is 4170638. An archived webcast of this conference call will also be available an hour after the completion of the call in the “Investor Relations” section of the Company’s website at www.workiva.com. Workiva delivers Wdesk, a leading enterprise cloud platform for data collaboration, reporting and compliance that is used by thousands of organizations worldwide, including over 75 percent of the Fortune 500®. Companies of all sizes, state and local governments and educational institutions use Wdesk to help mitigate risk, improve productivity and gain confidence in their data-driven decisions. Claim not confirmed by FORTUNE or Time Inc. FORTUNE 500® is a registered trademark of Time Inc. and is used under license. FORTUNE and Time Inc. are not affiliated with, and do not endorse products or services of, Workiva Inc. The non-GAAP adjustments referenced herein relate to the exclusion of stock-based compensation and CEO separation expense. A reconciliation of GAAP to non-GAAP historical financial measures has been provided in Table I at the end of this press release. A reconciliation of GAAP to non-GAAP guidance has been provided in Table II at the end of this press release. Workiva believes that the use of non-GAAP gross profit and gross margin, non-GAAP loss from operations, non-GAAP net loss and non-GAAP net loss per share is helpful to its investors. These measures, which are referred to as non-GAAP financial measures, are not prepared in accordance with generally accepted accounting principles in the United States, or GAAP. Non-GAAP gross profit is calculated by excluding stock-based compensation expense attributable to cost of revenues from gross profit. Non-GAAP gross margin is the ratio calculated by dividing non-GAAP gross profit by revenues. Non-GAAP loss from operations is calculated by excluding stock-based compensation expense and CEO separation expense from loss from operations. Non-GAAP net loss is calculated by excluding stock-based compensation expense, net of tax, and CEO separation expense from net loss. Non-GAAP net loss per share is calculated by dividing non-GAAP net loss by the weighted- average shares outstanding as presented in the calculation of GAAP net loss per share. Because of varying available valuation methodologies, subjective assumptions and the variety of equity instruments that can impact a company’s non-cash expenses, Workiva believes that providing non-GAAP financial measures that exclude stock-based compensation expense allows for more meaningful comparisons between its operating results from period to period. Because of the non-recurring nature of CEO separation expense, Workiva believes this expense is not representative of ongoing operating costs. Workiva’s management excludes CEO separation expense when evaluating its ongoing performance and/or predicting its operating trends and believes that its investors should have access to the same set of tools that we use in analyzing results. Workiva’s management uses these non-GAAP financial measures as tools for financial and operational decision making and for evaluating Workiva’s own operating results over different periods of time. 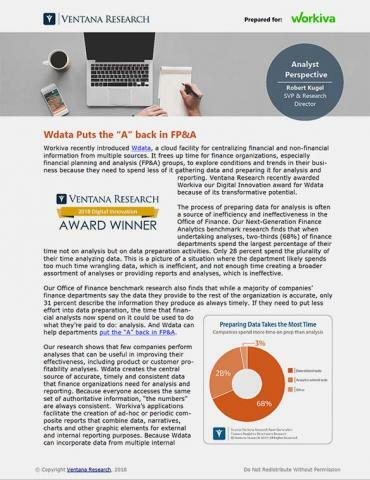 Non-GAAP financial measures may not provide information that is directly comparable to that provided by other companies in Workiva’s industry, as other companies in the industry may calculate non-GAAP financial results differently. In addition, there are limitations in using non-GAAP financial measures because the non-GAAP financial measures are not prepared in accordance with GAAP, may be different from non-GAAP financial measures used by other companies and exclude expenses that may have a material impact on Workiva’s reported financial results. Further, stock-based compensation expense has been and will continue to be for the foreseeable future a significant recurring expense in Workiva’s business and an important part of the compensation provided to its employees. The presentation of non-GAAP financial information is not meant to be considered in isolation or as a substitute for the directly comparable financial measures prepared in accordance with GAAP. Investors should review the reconciliation of non-GAAP financial measures to the comparable GAAP financial measures included below, and not rely on any single financial measure to evaluate Workiva’s business. Certain statements in this press release are “forward-looking statements” within the meaning of Section 21E of the Securities Exchange Act of 1934, as amended, and are subject to the safe harbor created thereby. These statements relate to future events or the Company’s future financial performance and involve known and unknown risks, uncertainties and other factors that may cause the actual results, levels of activity, performance or achievements of the Company or its industry to be materially different from those expressed or implied by any forward-looking statements. In particular, statements about the Company’s expectations, beliefs, plans, objectives, assumptions, future events or future performance contained in this press release are forward-looking statements. In some cases, forward-looking statements can be identified by terminology such as “may,” “will,” “could,” “would,” “should,” “expect,” “plan,” “anticipate,” “intend,” “believe,” “estimate,” “predict,” “potential,” “outlook,” “guidance” or the negative of those terms or other comparable terminology. Please see the Company’s documents filed or to be filed with the Securities and Exchange Commission, including the Company’s annual reports filed on Form 10-K and quarterly reports on Form 10-Q, and any amendments thereto for a discussion of certain important risk factors that relate to forward-looking statements contained in this report. The Company has based these forward-looking statements on its current expectations, assumptions, estimates and projections. While the Company believes these expectations, assumptions, estimates and projections are reasonable, such forward-looking statements are only predictions and involve known and unknown risks and uncertainties, many of which are beyond the Company’s control. These and other important factors may cause actual results, performance or achievements to differ materially from those expressed or implied by these forward-looking statements. Any forward-looking statements are made only as of the date hereof, and unless otherwise required by applicable securities laws, the Company disclaims any intention or obligation to update or revise any forward-looking statements, whether as a result of new information, future events or otherwise. (1) CEO separation expense in the nine months ended September 30, 2018 includes stock-based compensation of $3.6 million related to the acceleration of eligible stock awards and separation payment expense of $5.9 million pursuant to the former CEO’s employment agreement. Included as separation payment expense are cash payments made in excess of the related bonus accrual recorded through the date of separation. (1) CEO separation expense in the year ending December 31, 2018 includes stock-based compensation of $3.6 million related to the acceleration of eligible stock awards and separation payments of $5.9 million pursuant to the former CEO’s employment agreement. Included as separation payment expense are cash payments made in excess of the related bonus accrual recorded through the date of separation. For the latest information and news, visit The Workiva Newsroom.